Martins Dukurs won silver in men's skeleton competition at the Vancouver Olympic Games on Friday, which is Latvia's second silver medal at the Vancouver Olympics, informs Leta. Canada's Jon Montgomery took gold, beating Martins Dukurs' time by just 0.07 seconds. Another Latvian participating in the skeleton event, Tomass Dukurs placed fourth. After setting a new track record and taking first place in the first run, in the second and third runs Martins Dukurs recorded the second best time, and was 0.18 seconds ahead of Montgomery before the last run, where Montgomery was a quarter-second faster. 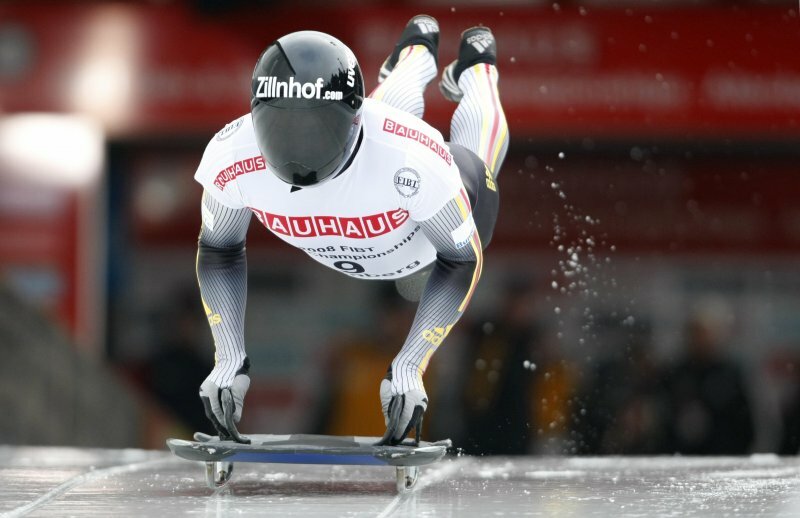 On the other hand, Tomass Dukurs was eighth after the first run, then sixth after the second and fourth after the third run, remaining in fourth place after the last run with 0.38 seconds behind the bronze medalist, Alexander Tretiakov of Russia. Martins Dukurs had also won this year's Skeleton World Cup, with Tomass Dukurs coming fourth. As reported, Andris and Juris Sics came second in the men's doubles luge event at the Vancouver Olympics on Wednesday, winning the first silver medal for Latvia at this year's Olympics.